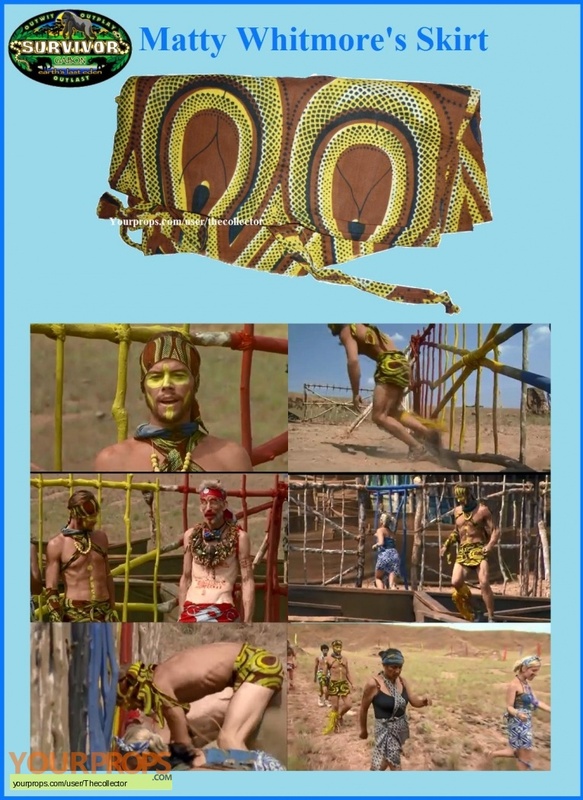 From Survivor Gabon (2008) is Matty Whitmore's material skirt piece, the contestants were given material for the 2nd last immunity challenge where they had to run through an obstacle course. Bob ended up winning Immunity and Ken was voted out. This item was obtained directly from "Sugar" aka Jessica Kiper and matches up to it's appearance to all the episodes it was featured in.